The Department of Health (DOH) – MIMAROPA (Oriental/Occidental Mindoro, Marinduque, Romblon, Palawan) together with the local government of the Province of Marinduque recently signed a Memorandum of Agreement with two government medical centers namely Batangas Medical Center and East Avenue Medical Center to provide expanded health care delivery system through telemedicine and establishing a Toxico Disease Surveillance System for the province. “With this collaboration, we can now properly address the medical needs of the affected individuals in communities that are exposed to the dangers of marcopper mining site in the municipalities of Mogpog, Boac and Sta. Cruz,” Regional Director Eduardo C. Janairo stated during the launching and MOA signing held at the Dr. Damian J. Reyes Memorial Hospital in Boac, Marinduque on May 30, 2017. “The two medical centers are known for their specialization on poison and toxicology, as well as quality medication, treatment, diagnosis and management of patients. They will serve as referral hospitals for patients from Marinduque,” he added. Research and assessment conducted by the health department during 1980s and 1990s discovered that high level of heavy metal poisoning coming from the mining site is still prevalent from the abandoned mining sites. 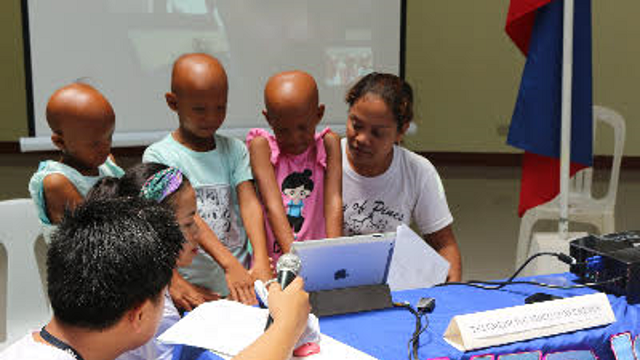 “We have responded to the needs of these exposed communities by conducting physical examination on the residents through the use of Telemedicine which virtually evaluate them through video conference,” Janairo emphasized. Medical expenses of patients referred to the two hospitals, such as hospitalization, treatment and laboratory examinations will be charged to the Medical Assistance Program (MAP) of the regional office, including expenses incurred in transporting specimen for laboratory examination. The telemedicine system is the first health interactive system was established at the Dr. Damian Reyes Memorial Hospital in Boac, Marinduque on November 26 and have been used for remotely diagnosing and treating patients requiring immediate treatment and care from the province. Marinduque is one of the five island provinces of MIMAROPA with six municipalities accessible through Lucena City, Quezon via a 3-hour RoRo boat ride or through a commercial plane with twice scheduled flights from Manila. It costs a patient about Php6,000 - 8,000 thousand pesos to travel to a hospital of choice or a tertiary hospital for referral.